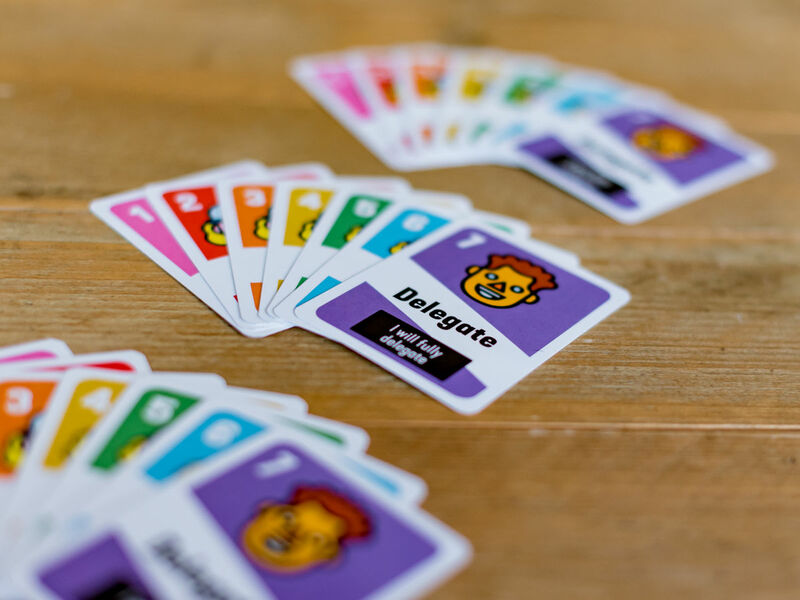 Is your team ready for self-organization? 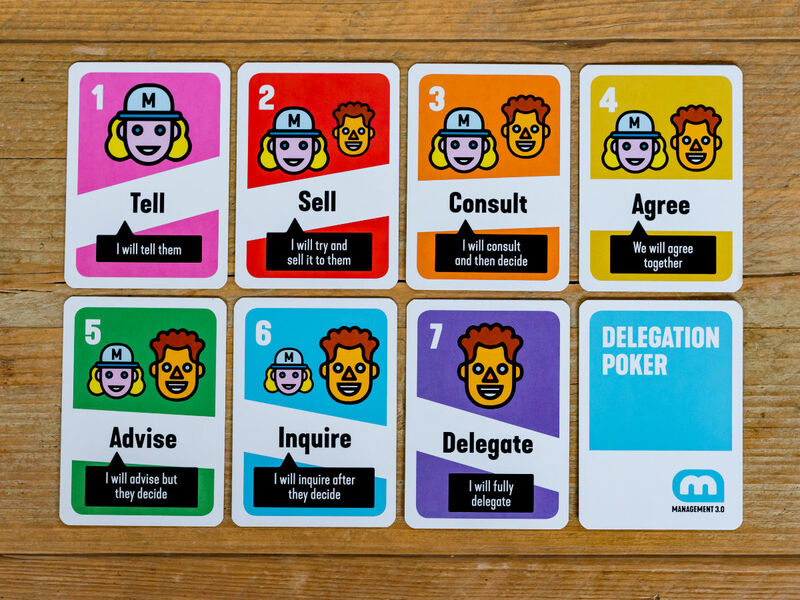 Delegation Poker is a way for you and your team to implement the Seven Levels of Delegation. Together, you not only decide who does what, but to what extent does the decision-making power lie with each teammate, dependent upon the task or project. 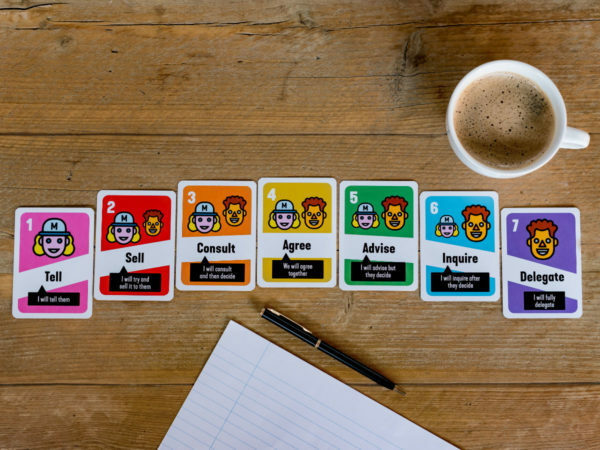 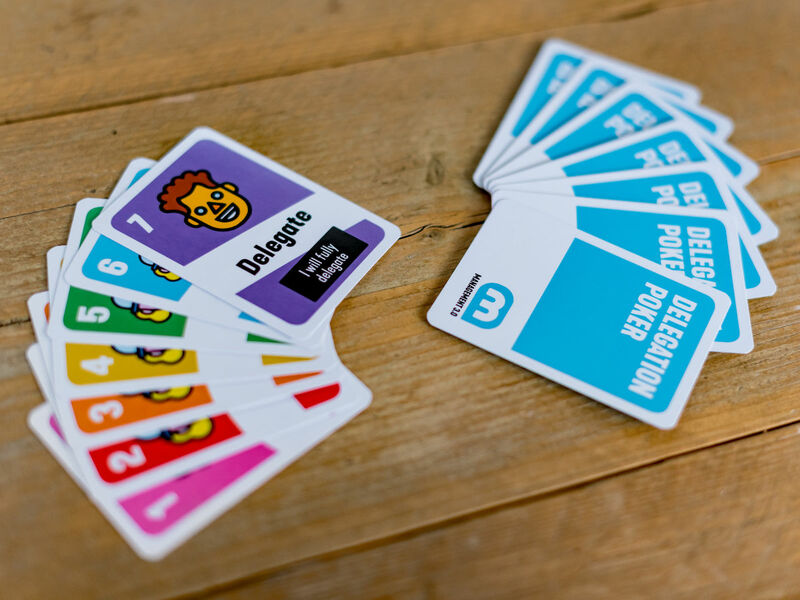 This surprisingly fun game is a great way to increase employee empowerment. 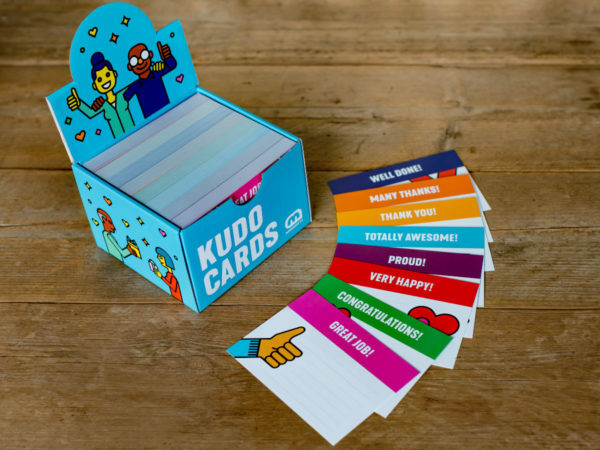 Make sure someone takes notes or puts it up on a semi-permanent board in the office, so you are all on the same page!